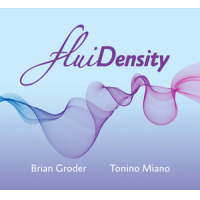 Once in a great while, a new release comes along in which all the elements of musical magic come together: great ensemble playing, impeccable and sensitive improvisation, and great compositional structures that make it all work. 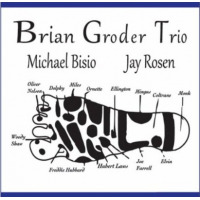 Trumpeter Brian Groder's Torque is one of those rare releases in which everything clicks. 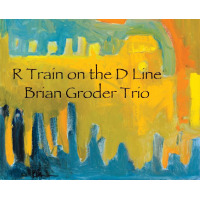 Groder's cohorts on this release are the members of the Sam Rivers Trio, and even the most cursory listen reveals that such a combination of musicians is truly inspired. Rivers and Groder have a natural shared language and rapport that defy the considerable generational distance between them; abstract and interesting ideas lead one to believe that they've been having this dialogue for decades. To begin with, most of the fourteen selections are shortgenerally between three and six minutes long. While such stimulating music could be easily endured in massive doses as far as this reviewer is concerned, the idea of keeping the pieces brief and digestible is a master stroke. Motifs are just as long as they need to be, the solos are direct and to the point, making the incredible music on this disc even more potent in short bursts. 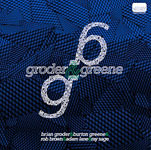 The majority of the compositions are by Groder. "Betwixt" is an exercise in measured chaos, typifying the tightness of the ensemble and the seamless communication between Groder and Rivers. "Diverging Orbits" is a delight, with all participants reveling in pure swing with a firm grasp of the song's elusive harmonic structure. There is also an abundance of intimate duets on this album between various members of the group. "Iota" and "Jingo" are contemplative duets between Groder and bassist Doug Mathews. "Spellcast" and "Water Prayer" are a pair of duets between the Groder and drummer Anthony Cole, again with inspired results as both musicians give each other ample space yet come together at crucial moments to create something spontaneous yet organic. "Beyond the Shadows (Parts I & II)" captures Rivers on flute and a Harmon-muted Groder in deep and intimate conversation, giving the listener a covert, voyeuristic view of the shared language between two like-minded musicians discussing matters of great import. The music made by the various combinations of musicians is every bit as riveting as the full ensemble cuts. On "Involution" and "Fulcrum," the group really opens up the seams in a furious torrent with inspired enthusiasm and uncommonly elastic, and effective counterpoint right where and when it counts most. Such frenetic playing is never overbearing and never descends into a tedious, pointless battle of egos. These musicians have much empathy for one another and are obviously devoted to contributing their unique personalities towards the end of making the best music they can. All of the cuts on Torque are graced with a remarkable sense of balance that makes the somewhat dark material fascinating, rather than leaden and over-serious. Torque is a celebration of great fun and creativity. This is easily one of the best and most exciting releases of 2006 and may prove to be an enduring classic. Track Listing: Spellcast; Betwixt; Diverging Orbits; Behind The Shadows Part 1; Behind The Shadows Part 2; Iota; Cross-Eyed; Involution; Camouflage; Oculus; Jingo; Tragic Magic; Fulcrum; Water Prayer. Personnel: Brian Groder: trumpet, flugelhorn; Sam Rivers: flute, saxophones; Doug Mathews: bass; Anthony Cole: drums.